Summer camp is for having fun, making friends and trying something new. Every child should have the chance to jump off a dock, make a friend, and laugh until their sides hurt. 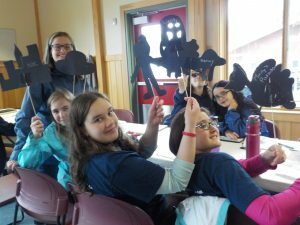 We believe that camp is a powerful tool to promote social development in a fun, safe environment. 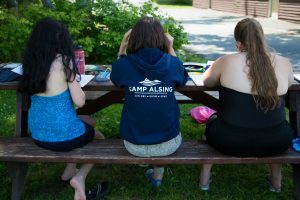 Our goal is for Alsing campers to enjoy themselves, stretch their comfort zone and build social connections, returning home with new skills and talking about the time of their lives. A place to learn from each other. We know that all kids today have a lot of stimulus competing for their attention. Our campers can be especially focused on academics, technology, music or a host of other activities. We believe that integrating their knowledge in these chosen areas with the interests of others and contributing to the community of camp, is the way to bring out the best in our campers and help them connect and experience something new. We respect and admire their passions without judgment. We will put our phones away, take time to play chess, and also learn how to build a campfire. We can listen to fellow campers play the violin, and then sing silly camp songs at breakfast together.